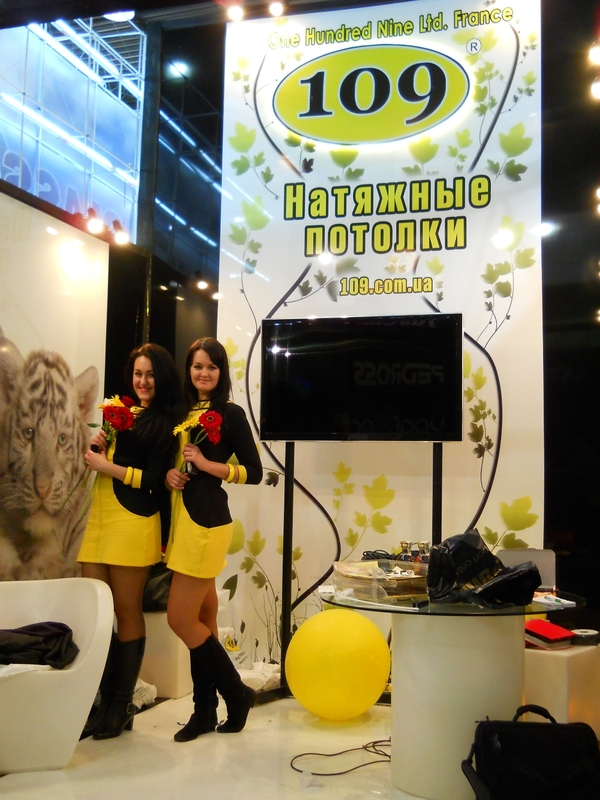 The company «One Hundred Nine Ltd» took part in the international exhibition INTERBUDEXPO 2011, which was devoted to the construction, repair and finishing materials. The exhibition showcased the latest construction techniques and materials, both domestic and foreign manufacturers. The main purpose of participation in the exhibition of our company was the fact that as much as possible to acquaint representatives of the construction business and ordinary people with the novelties in the field of stretch ceilings. At our stand you can see the full range of products offered, as well as get answers to all the questions from our staff. The main objective of our company is the introduction of a modern, durable and environmentally-friendly materials, which contribute to a more efficient and productive work during installation and installation of suspended ceilings. Special interest at the show enjoyed ceilings Italian-made Color-Ex with photo printing on lacquer (gloss) film (the ceiling). 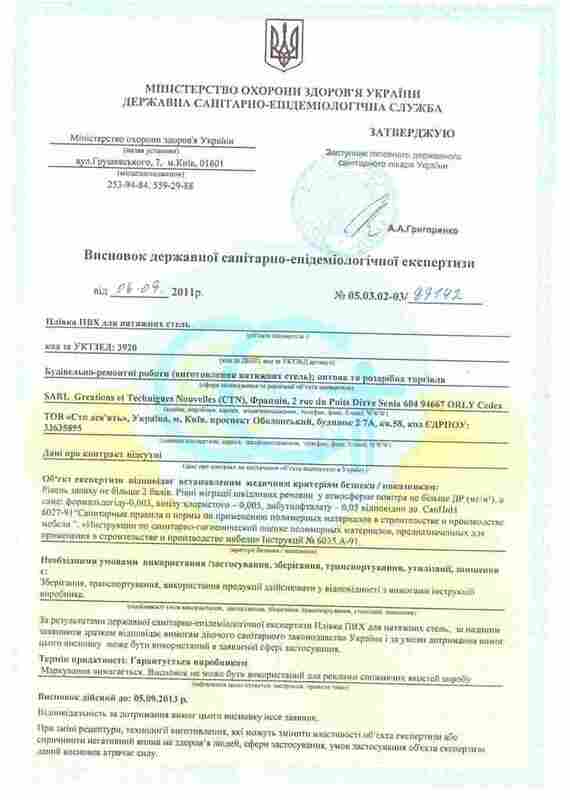 This is a brand new series on the Ukrainian market of suspended ceilings, which exclusively represents our company. In the catalog includes about 250 Themes for suspended ceilings, among which you can easily select the appropriate option. Lacquer film with photo printing Color-Ex is made using the latest technology and has increased strength. It is a great fit for the design of ceilings the most complex configuration. Pictures at an Exhibition (ceilings). Stand of "Nine Hundred"
Please note that in our booth walls are also made of stretch ceilings with photo printing on glossy (lacquer) canvas. The quality of pictures and printing all visitors nashegt stand could see it live. The back wall is also made of a stretch ceiling, which is located on a tree, a method of applying kotorgo - as photo printing. Our company has mastered the fine print on varnish (glossy) suspended ceilings. Below you can see our 3D photo exhibition. Turn the mouse, you almost are present at the exhibition. Happy viewing. The exhibition was held from 22 to 26 March in the exhibition center "KievExpoPlaza" which is located in Kiev Nivki at the address. Salyutna 2-B. Our booth was located in Hall number 3, and was at the center of the hall. Towered above the stand two yellow ball, so we had a very easy to find. 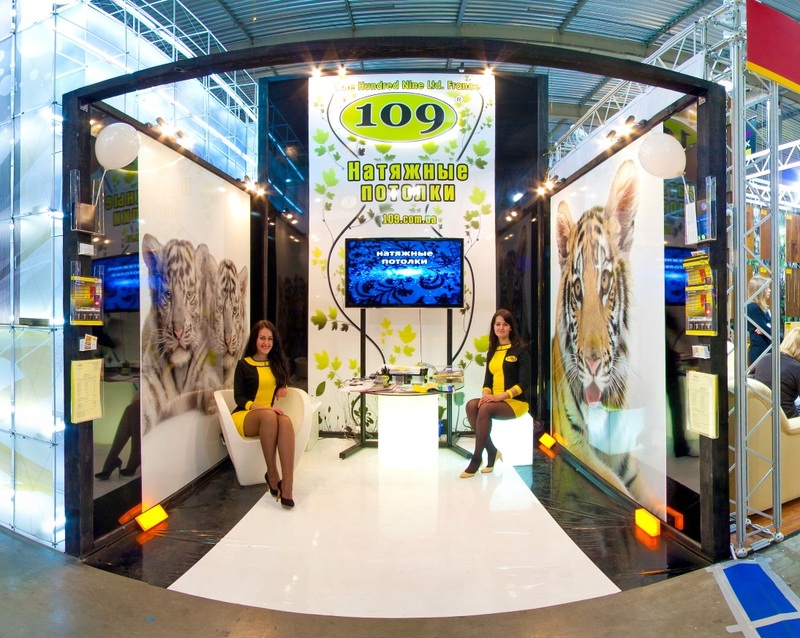 The design of the stand was decorated in yellow, black and white color in a minimalist style. The floor and walls are in the form of suspended ceilings in the lacquer film. All visitors to the booth we were treated to brandy with sweets and introduced in more detail with our products. A total of 5 liters of cognac drunk and eaten 8 kg of sweets. 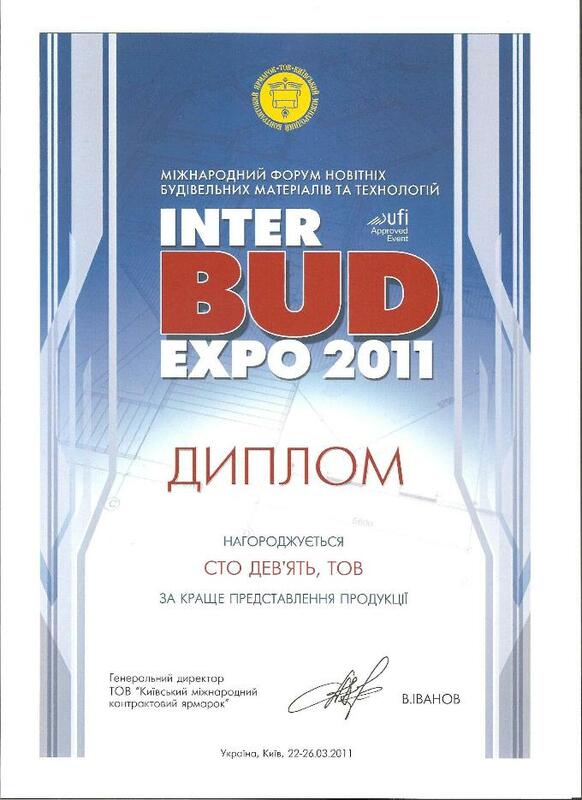 After the exhibition our stand received a diploma from the organizers of the "For the best representation of products." If for some reason you are unable to visit the exhibition in the near future the site will be laid out all the pictures from INTERBUDEXPO 2011, as well as detailed video report will be prepared. Our company is actively participating in international exhibitions, which are related to the scope of the construction business. Over the past few years, we have established many business contacts with representatives of almost all the regions of Ukraine. Our products are well known and are in demand both in the Ukrainian market and beyond. We occupy a leading position in the market of suspended ceilings and invite the active cooperation of entrepreneurs from the regions. Today, our company has an extensive dealer network, allowing us to provide our services in all regions of Ukraine.